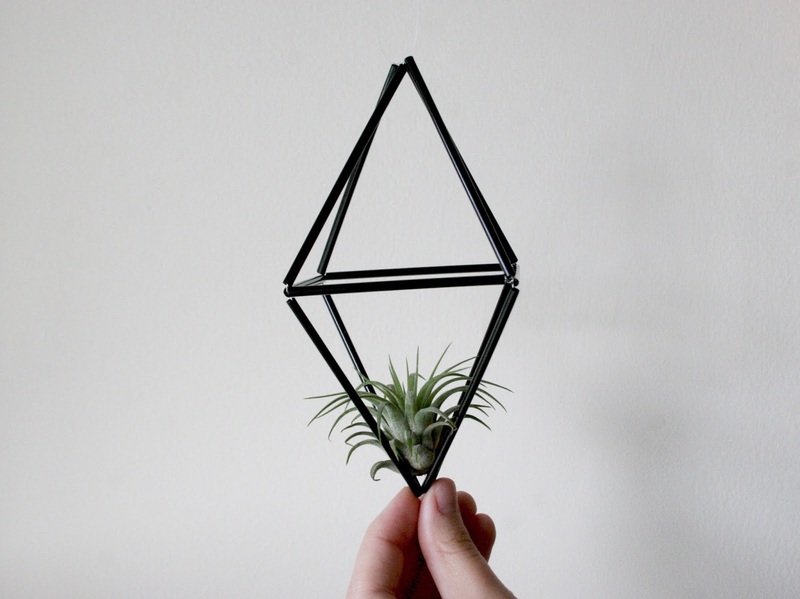 It all started with my desire to own air plants. I don't know why - maybe I'm just turning into a crazy plant mama (like my own mom is), but I just really wanted to have some cute little air plants in our apartment. 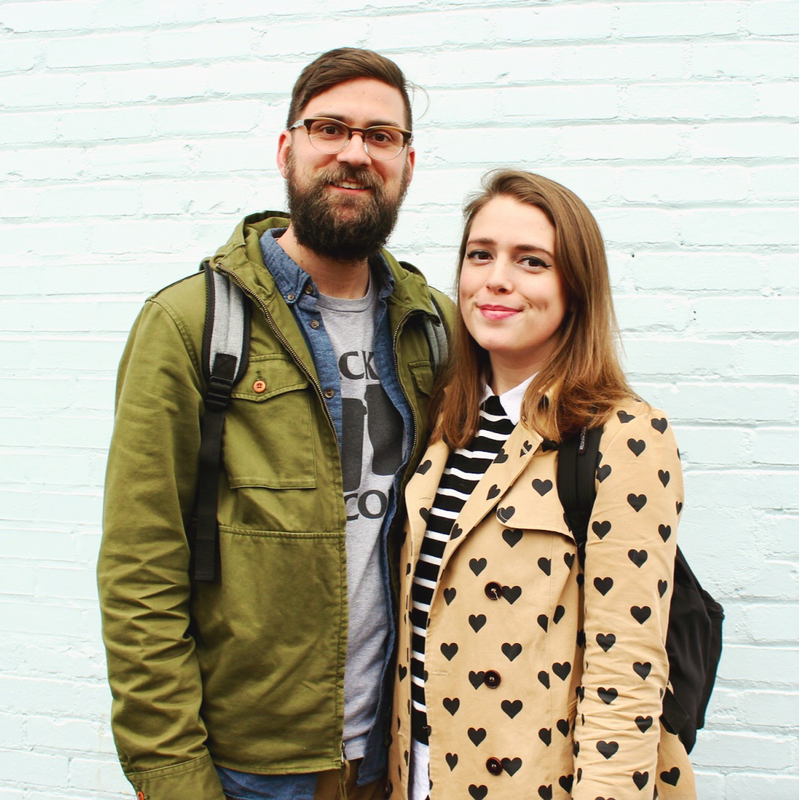 What's not to love, really? 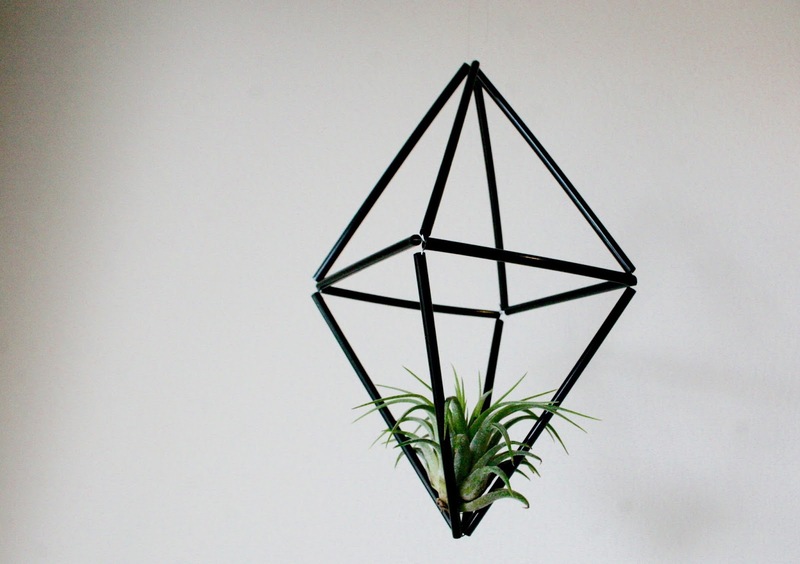 Plants that require no soil? Sign me up! Before I knew it they were in my Amazon cart and on their way to Pittsburgh, so my next step was figuring out what their homes were going to be. 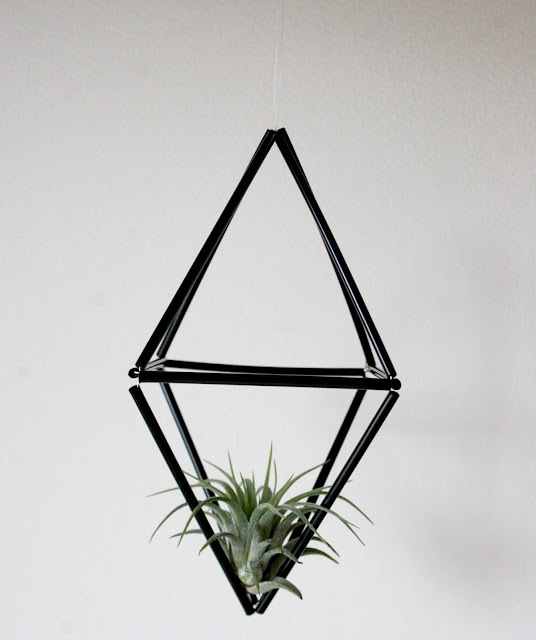 I ended up stumbling upon this DIY Brass Geometric Mobile kit from Urban Outfitters (which has since sold out) and knew that I wanted something similar for my air plant homes. Apparently geometric mobiles for air plants are all the rage, but considering I needed 12 of them, buying was not going to be an option. So it was DIY to the rescue! And why not DIY with a project as simple and cheap as this?! 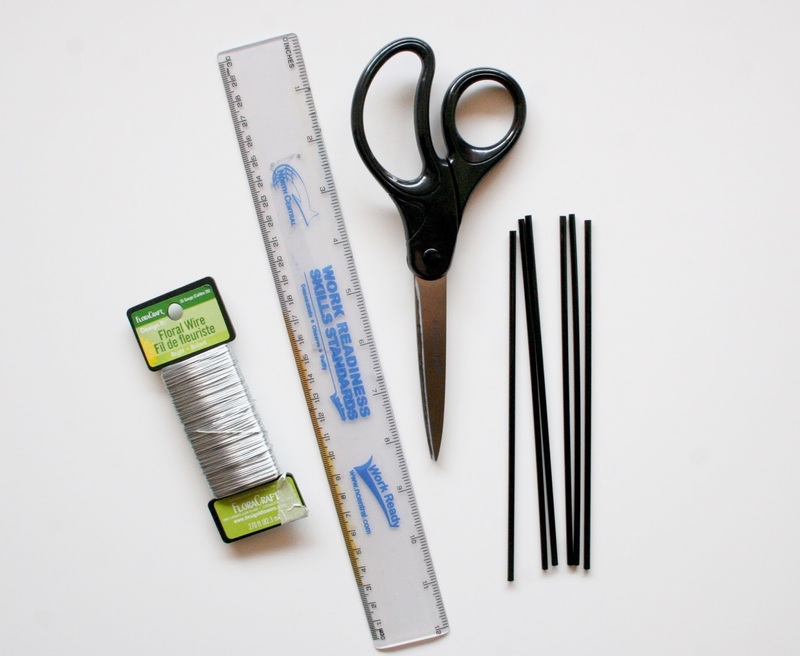 - Cut your coffee stirrers into your desired lengths (lengths will vary depending on shape.) 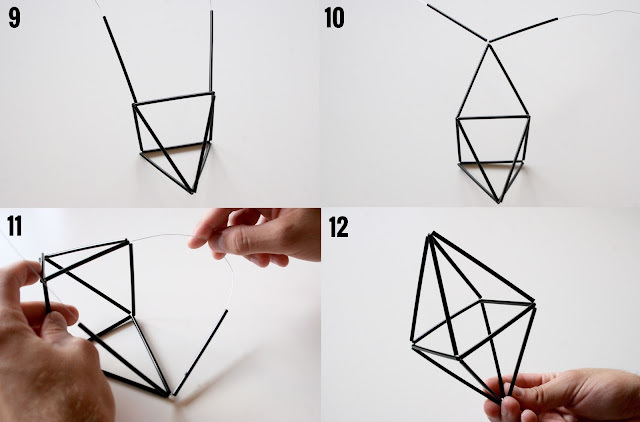 You'll need four size A, four size B, and four size C. Cut a piece of wire about 5 feet in length. 1. Thread your four size A pieces onto your wire, centering as best as you can. 2. 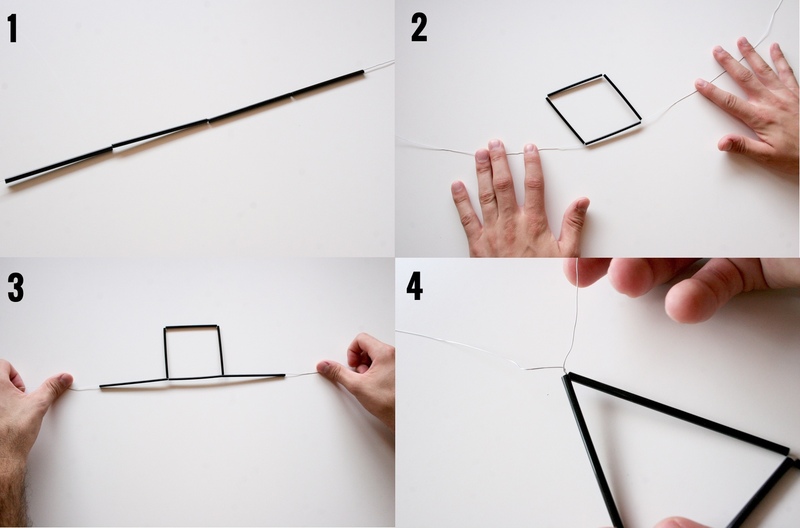 Take one end of the wire and thread through each coffee stirrer piece, making your four size A pieces into a square. 3. Thread one size B piece onto the end of each wire. 4. Bring the two size B pieces together and twist the wire together. 5. Thread your last two B pieces onto each wire. 6. Take the end of the wire and thread it through the A piece on the opposite side of the square. 7. 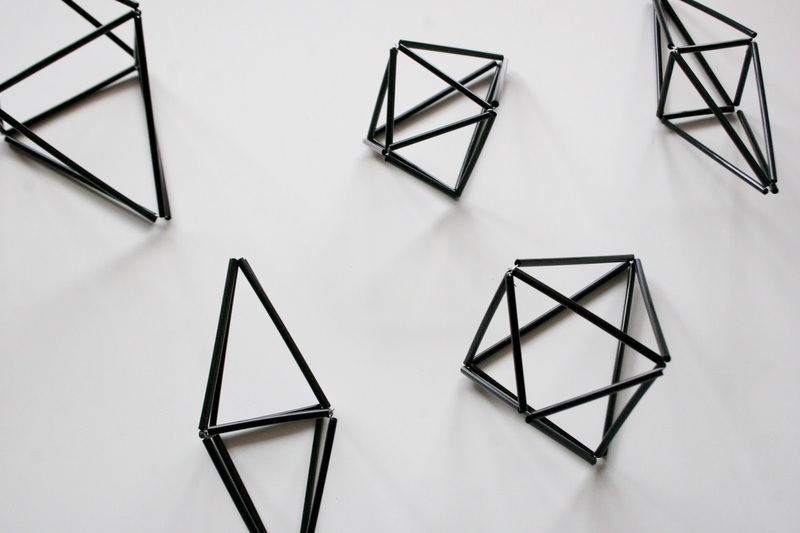 Complete with each wire - you will see a pyramid start to form. 8. Ta da! A pyramid! 9. Take your two C pieces and thread one onto each piece of wire. 10. Bring the two C pieces together and twist the wire together. Add your last two C pieces onto each piece of wire. 11. Take the end of the wire and thread it through the A piece on the opposite side of the square. Complete with each wire - you're almost done! 12. Yay! 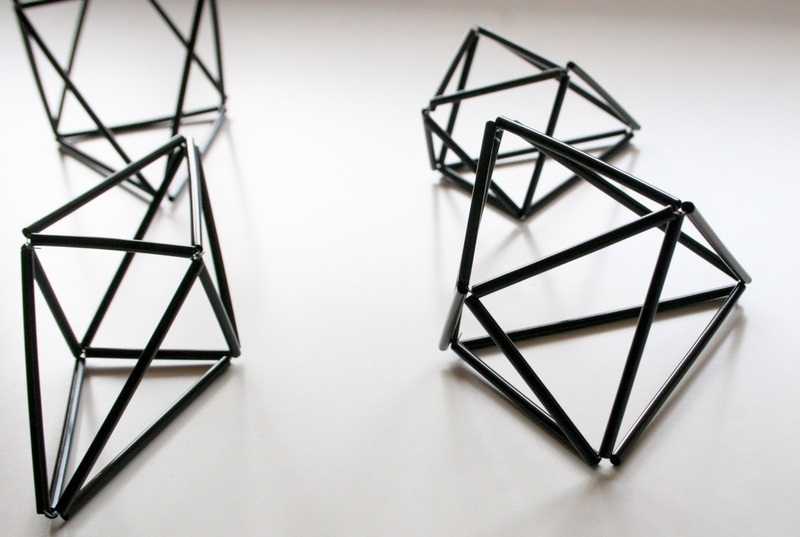 You've made an awesome geometric diamond! Just twist the ends of your wire around the corners and trim any excess! 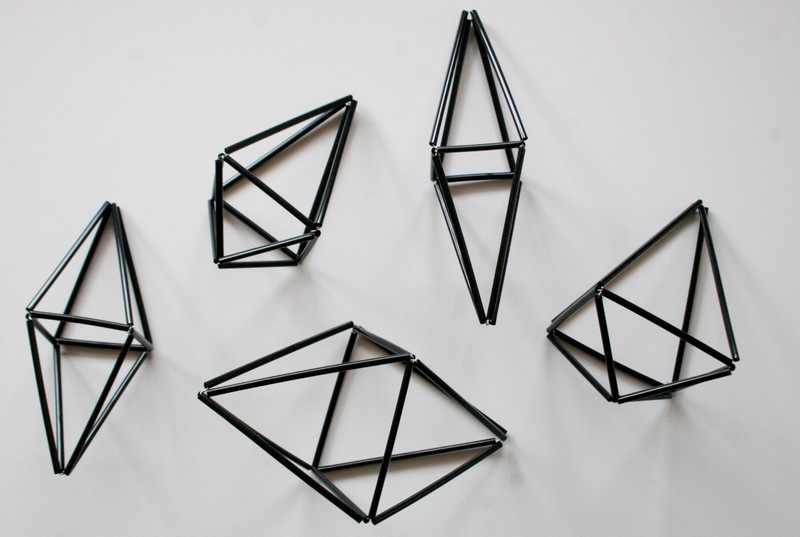 Now you have awesome geometric shapes that you can use for mobiles, wall installations, anything you can dream of! 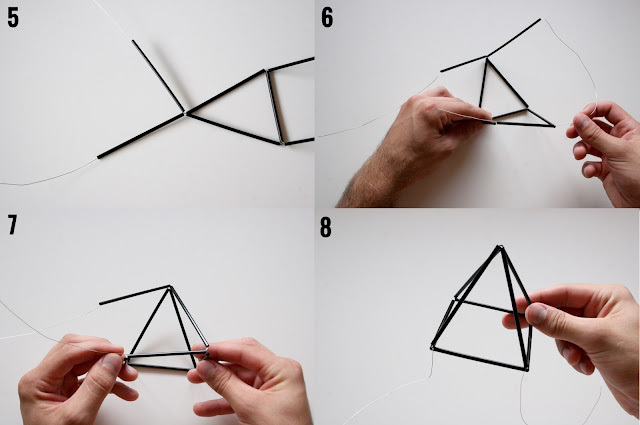 You can follow these same basic steps with varying lengths of coffee stirrers to make different shapes. Ultimately we decided to hold off on spray painting ours gold, but if you really want to make these look like faux brass, give 'em a coat of gold spray paint! Wow what a great idea, and I wonder if I could do this. Thanks for sharing and they are amazing. I am thinking maybe I can see if I can do some Xmas ornaments! These would be perfect for Christmas ornaments!